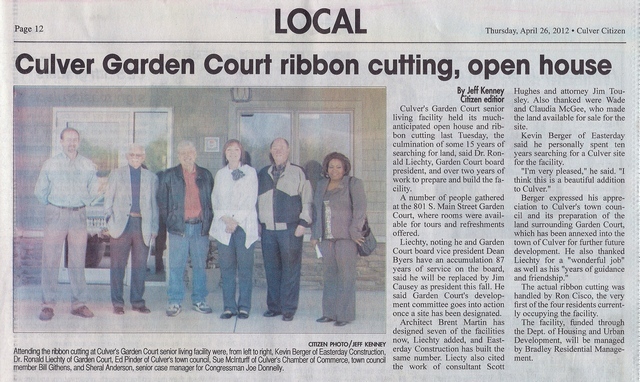 Taken from the Culver Citizen, April 27, 2012. Article and Picture by Jeff Kenney. Thanks Jeff!